Ever since the famous T.V. 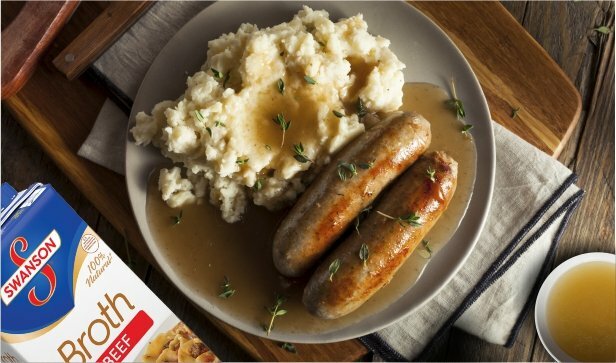 Dinner was introduced in 1952, Swanson has been a familiar brand name the world over, and we’re featuring one of their relatively new products, Swanson’s Broth. Swanson’s Broth hits the perfect balance with the highest quality basic ingredients, encouraging you to be creative with your own herbs and spices. Add richness and nutritional value to stews and casseroles, rice and cous-cous; even stuffing for poultry. This month, try Swanson’s Beef, Chicken and Natural Chicken Broths now in the resealable carton.